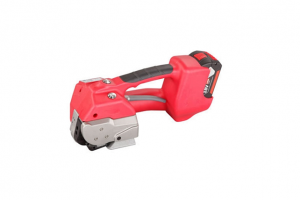 ADVANCED SWISS MADE 18V 450KG STRAPPING TOOL The XST-450 is the latest generation in advanced Swiss made automatic battery powered strapping tools. 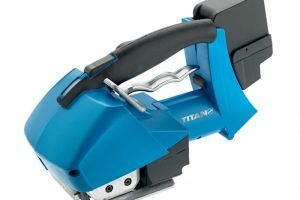 The XST-450 is the latest generation in advanced Swiss made automatic battery powered strapping tools. It is capable of a massive 450kgs of tension. It features a digital user interface, with touch pad adjustment and a favourite strapping function. It also features a strap alignment function and a real time indication of applied tension force. The tensioning button is pressure sensitive, adjusting the tension speed with the amount of force applied to the button. This includes 1 battery and 1 charger and a 12 Month manufacturers warranty. 4th Generation tool, proven track record of reliability. 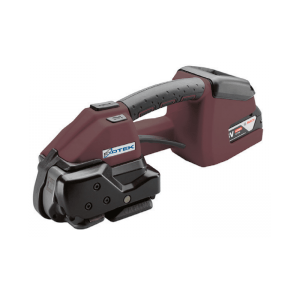 The XST-450 Swiss Made Strap Tool is in stock and available for immediate delivery. Dispatch lead time is from when funds are received, orders processed after 2pm may not be dispatched until the next day to deliveries outside of Melbourne metro. The XST-450 Strap Tool comes with a 12 Month manufacturer’s warranty. How many batteries does this tool come with? 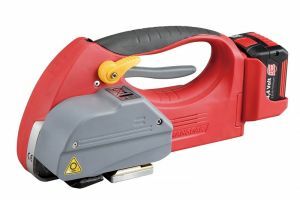 Typically we supply this tool with 1 x Battery and 1 Charger. Do you provide service to these tools? Yes, we have several in house staff for repairing machines in our warehouse and we can repair tools onsite in Melbourne. Do you stock parts for these? Yes Melbpack we stock the majority of parts for this tool. How many cycles do you get per charge? Approximately 800 cycles per charge.